What if I were to become a deer, and live in the forest, picking and eating fruits and roots. 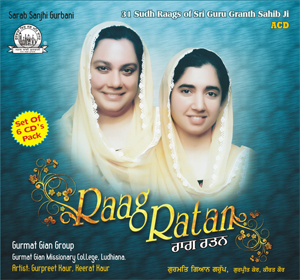 By Guru’s grace, I meet my master waheguru and surrender myself again and again. I am the shopkeeper of the Lord. Your Naam is my merchandise and I trade with your Naam. If I were to become a cuckoo, living in a mango tree, I would still contemplate on the Word of the Shabad. I would still meet my Lord and Master, with intuitive ease; the darshan, the blessed vision of His form, is incomparably beautiful. If I were to become a fish, living in the water, I would still remember the Lord, who watches over all beings and creatures. 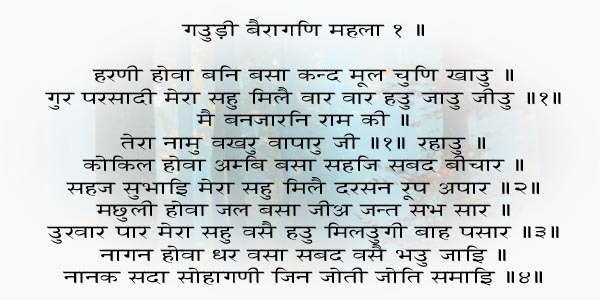 My master Lord dwells on this shore, and on the shore beyond; I would still meet Him, and hug Him close in my embrace. If I were to become a snake, living in the ground, the Shabad would still dwell in my mind, and my fears would be dispelled. O Nanak, they are forever the happy soulbrides, whose light merges into His Light. 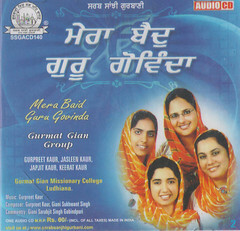 This entry was posted in Shabad Kirtan and tagged Gauri Sagar, Gurbani Kirtan, Gurmat Gian Group, Gurpreet Kaur, guru granth, Keerat Kaur, Nirdharit Raag Kirtan, Raag Gauri Bairagan, Sikh Music, sri guru. Bookmark the permalink. 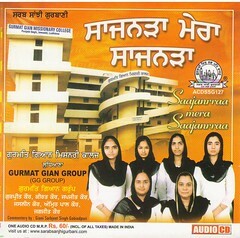 Wonderful Shabad and very well sung. 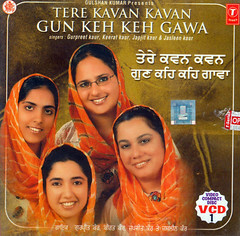 Waheguru Ji has blessed you this talent. Long Live. 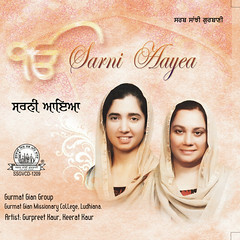 Soothing and comforting melodies that makes one feel so close to Almighty thank you. I just came across your site couple of weeks days ago and I am speechless and ecstatic with overwhelming joy with this discovery and could not contain my happiness and thus had to share your shabads with my coworkers who don’t speak or understand our language but still find your voice and music so peaceful and soothing for meditation. May god bless you with a very long life and help you keep on mesmerizing us with your talent. 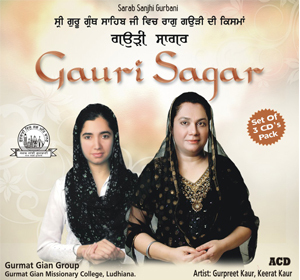 Paramjit Singh ji, Welcome to the website of Gurbani Kirtan. We are thankful to Almighty for all the Blessings ….